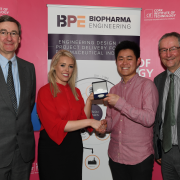 BioPharma Engineering recently sponsored the Chemical and Biopharmaceutical Engineering Third Year Student of the Year. 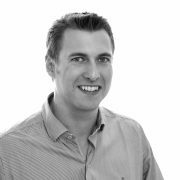 “I was very much impressed by the work of the students and greatly admired their technical knowledge and ability to present their projects to us -these technical and communication skills will undoubtedly stand to them in industry and are things that I look for when hiring for my team”. 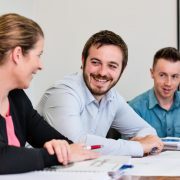 The event also included the 31st Cork Mechanical, Manufacturing and Biomedical Engineering exhibition of projects from final year students in engineering innovation and entrepreneurship. 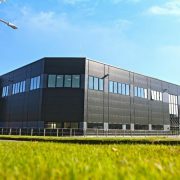 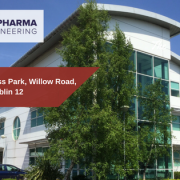 BioPharma Engineering would like to congratulate Rebecca and all the students and staff at Cork Institute of Technology for executing such an impressive event and we look forward to continuing to support the future of engineering in Ireland. 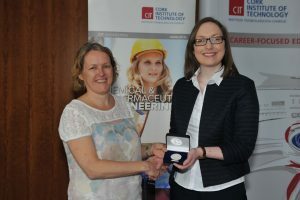 Process Engineering Manager, Mary Collins with Rebecca Power, recipient of the BioPharma Engineering Medal for Best Third Year Student 2015/16 in the B.Eng (Hons) Chemical and Biopharmaceutical Engineering degree at CIT. 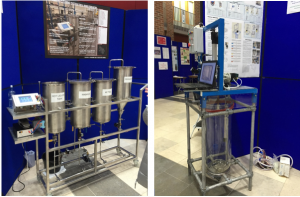 (Left) Automated Cleaning System for a Nano Brewery – a project by CIT students Evan Carney, Mark Coughlan and Gerard Donnelly and (Right) Automated Solvent Recovery System – a project by CIT student Arran Coughlan.